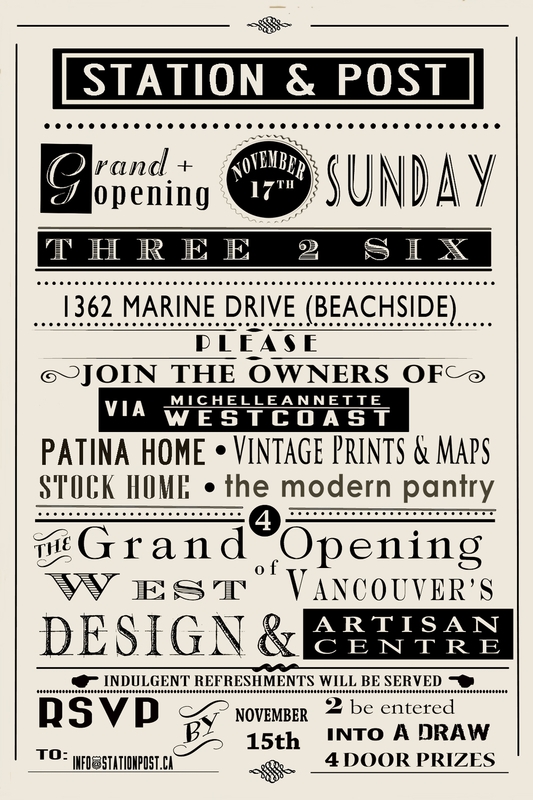 on Sunday, November 17th for the grand opening of Station & Post. Food, drinks, and door prizes to abound. RSVP to info@stationpost.ca to be entered in the draw for door prizes.